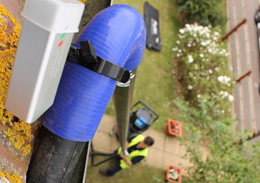 At Ryemead we provide an expert level of gutter cleaning and maintenance for your building. We have extensive experience in cleaning and restoring all types of guttering systems, fascias and soffits. The guttering system on your property forms the first defence to high levels of rainfall and will keep potentially costly water damage at bay, when professionally maintained on a regular basis. Without regular maintenance, blockages will form and can ultimatley cause longer term damage to the fabric of your building. On top of this, most insurance companies will refuse to settle claims where the damage and loss incurred is a direct result of a poorly maintained guttering system. We can help you restore your gutters to former glory and maintain them on a 6-monthly or annual basis. 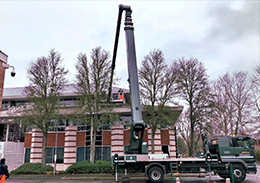 Commercial gutter cleaning involves working at height and we make sure all works are carried out in the safe and professional manner . All relevant risk assessments and method statements will be provided prior to any work taking place.